Marketers are using GIF emails a lot. GIFs have come across as a great way for marketers to tell their story in a more visually engaging way. Remember that GIF for Father’s Day where the dad saves the child from falling? A lot of brands had used this GIF for their Fathers’ day email template. Imagine if this whole thing was written in plain texts, it would’ve taken away the charm of this email. The GIF expressed the story, and all the marketer had to do was include a few lines of texts to complete this email. A perfect stroke. Another catch point is personalization. You immediately connect with the content, the email is properly personalized with your name, and is totally related to the event and your previous purchase patterns. If these were not in place, probably only a GIF could not trigger so much engagement. The need for personalizing marketing efforts and putting across marketing messages in an instant has made way for GIFs. If you were in awe of email marketing automation features like automated email workflow, drip campaigns, and autoresponders, then GIF emails have taken email marketing automation to the next level. GIF emails have opened a new road for email marketers to establish a relationship via storytelling in a short, crisp and visually enriched way. After all, marketing is now customer-centric and emails acre behavior-based. To keep them engaged and glued to your brand, what better way than leveraging the most liked mode of communication (i.e. emails) visually?! The world just cannot have enough of the animated GIFs. Recently when NASA announced about its new account on GIPHY, GIFs have reached another level. With its beautiful pins (on Pinterest) and GIFs, NASA is looking forward to engaging with people more on social media. If this was not enough, Whatsapp is also now streaming animated GIFs on Android devices. Both NASA and Whatsapp are poles apart, but it looks like animated GIFs are something that has garnered everyone’s attention equally. Talking about engagements, animated GIF emails have also become the talk of the town! GIF stands for Graphic Interchange Format. It is a bitmap image format. It is an image file like the PNG and JPG files. These animations vary from scene cuts to slideshow style animation which features multiple still frames from different images. Gifs date back to the year 1987 when American Software Writer Steve Wilhite developed it. He was working for the Internet service provider CompuServe at that time. GIFs rapidly display a series of images that produce an illusion of motion. Earlier, GIFs were added primarily to add movement to a web page. However, this has changed since the 90’s. GIF’s have been very popular on the internet and in email marketing. Usually, these images are compressed with the Lempel–Ziv–Welch (LZW) data compression technique which is used to reduce the size of the file without degrading the visual quality. GIF Emails – Does that Work? If you have noticed, most of the emails sent out by brands contain GIFs. Now GIFs are somewhat dreaded by marketers as well, because it may take away the attention from the original message of the email. The reason why animated GIF emails have become popular is not that they are fun to look at, nope! It is popular because brands have now a better way to showcase the functionalities of their products or explain their services. For instance, this GIF email from on Father’s Day had hit the bull’s eye. GIF emails have become a bolder way to communicate and engage with the customers. If you are still wondering whether animated GIF emails will work or not, you already have an answer! Ofcourse, this does not mean that the email will have an overdose of GIFs. Like we take caution with the amount of content we add in an email, same goes for the GIFs. These Animated GIF emails have managed to provide better engagement rates than a static image in the same email. GIF emails allow you to use a series of separated frames that can be put together to create a type of animation. Animated GIFs have many advantages and a few disadvantages. Loads faster: GIF animations load much more rapidly than other forms of animations. However, adding too many gif animations can make your email load slowly, and your subscribers may lose their interest. Better customer engagement: Customers engagement levels are more with adding gif animations. For example email template of LOFT which shows watermelon seeds that come down as rain and reveal the keyword “Sale” had been efficient in being more visible to the subscribers and had generated large scale interest. Amuses the audience: GIF animations entertains the audiences and keep the customers engages. Animated GIFs are up to a point in explaining the concept or point. Using GIF emails can increase click-through rates. GIF animations support greater transparency when employed in emails. Email campaigns with GIF animations give better results as they are more attractive and engaging. An animated format can hold a lot more content that is almost impossible for an average image. That gives you an edge over static images. There’s a host of tools and websites that help in creating animated GIFs for emails, blogs, etc. Below, we will go over a few tools, websites and a detailed step-by-step procedure for creating an animated GIF. 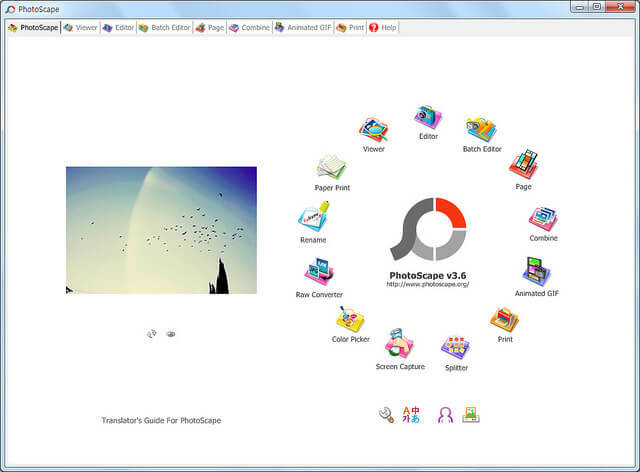 Photoscape is technically a free multi-purpose photo editor. It comprises of a photo editor, GIF animator, color picker, splitter, image converter, screen capture, photo layout, and other tools. Its functionalities include the viewer, rename, raw converter, editor, screen capture, etc. You can use the Animated GIF feature of Photoscape to create your animated GIFs. Multiple frames can be added in a GIF by adding multiple pictures. You can quickly set up the time between every frame. With this software, you can add various transition effects to your animated GIFs. You can even change these transition effects to sliding a frame, and the program will automatically add necessary frames to that effect. However, this will undoubtedly increase the GIF file size. Microsoft GIF Animator is an entirely free software that can be used to create animated GIF files. With this software, you can easily drag and drop multiple GIF files to create an animated GIF. You can set up duration of each frame and also re- order them, creating transparency and a horizontal loop. The up/down buttons help in reordering the frames. If you need advanced features, there are settings available for animation width, border, and height. It is small in size and easy to use. XylemStudio’s AnimateGif is one of the best software that helps in creating very simple gif animations. The user interface is seamless, courtesy the drag and drop feature. It is very easy to balance set loop, output gif quality, and frame delay time. You can create an animated GIF from JPG, JPEG, PNG, and GIF format. The frame delay between images in seconds can be easily set. You can also adjust the loop option. XylemStudio’s AnimateGif does not require any installation and can be used as portable software. GifApp is a free mobile app which is supported by the Sourceforge project. It is one of the best GIF animation makers. You can quickly add multiple images to your frames and set similar and different timings for each frame in seconds. You can remove unwanted images from your project. Also, you can apply various effects to the pictures. Before saving it, you can watch the preview. Various online services are available which allow users to make animated GIFs by uploading images from their computer or by linking them from the internet. However, issues like watermarks and privacy terms are some of the problems with these online services. Some websites do not support any watermarks and individual outputs. Let’s look at several websites and apps that can help you to make GIFs. GIFs.com helps you create GIF animations. All you need to do is just paste the URL for the video that you would like to use for your GIF. This website supports YouTube, Vine, and Instagram. The users can upload their personal video files too. Giphy has been the default search engine for GIFs for an extended period. It has a GIF Maker that helps you simultaneously create and share your GIF creations. Giphy is very easy to use. You do not need to be a professional to make an animated GIF on this site. Pick your source material from the internet. You can select any portion of a video online and turn into an animated GIF. The process does not take very long, and the resulting GIFs are uploaded to Giphy.com. You can then share them, and download them directly from the website. Giphy also provides a host of GIFs ready to use. You can just copy the embed code and use it. For instance, we have already used an animation from Giphy above. Wherever you use it, the default linked text “via GIPHY” appears. You can use Picasion to create GIFs, but it only allows a limited number of uploads. You have to select every image separately. This website provides custom options like control over the size and speed of each frame. GIFs produced are without watermarks; also it gives the full control over file privacy. Adding a GIF animation is similar to inserting static images into emails. Below are the steps to add GIF animation in a personal email. Create the animated GIF that you want to use in your email. Take permission beforehand to download and use any animated GIF that you locate online and is interested in. You can create your animated GIF using photo editing software like Photoshop if you do not get permission to use an already existing animated GIF online. Save the animated GIF that you want to use on your local network or your hard drive. Give the file a name. Click on the space where you want to paste the image in the email message. Next, use the “Insert” option on your email client. Use the “Insert Image” icon or the “Insert link” in your email menu. Select the animated GIF file from your local network or hard drive. Click “OK” after you have selected your file. Verify the animated GIF. Test if the process was right and the GIF animation clip chosen, and then message yourself to check that the GIF appears in the email you receive before you send it to the recipient. Create or buy the animated GIF that you wish to use in your email marketing campaign. Get the rights for distributing the image in marketing materials, in case you have purchased the image online. Upload the GIF to your server. Save the GIF to your hard drive and store the images for your email marketing campaigns. Note the full URL for the picture which you have hosted on the web server. Insert the source code of the GIF animation in the HTML version of your email marketing message. To refer to the full URL for the hosted image, use the “img src” HTML code. Make sure to test your full HTML and text versions of your email marketing campaign beforehand. Verify the GIF animation functions correctly in your test HTML message before you send the email campaign to your subscribers. The animated GIF should not be larger than 40 kb in size. Keep the size of the GIF small. Maintain the number of frames used in GIF animations minimum. Adjust the colors employed in GIFs; this keeps the file size of an animated GIF small. 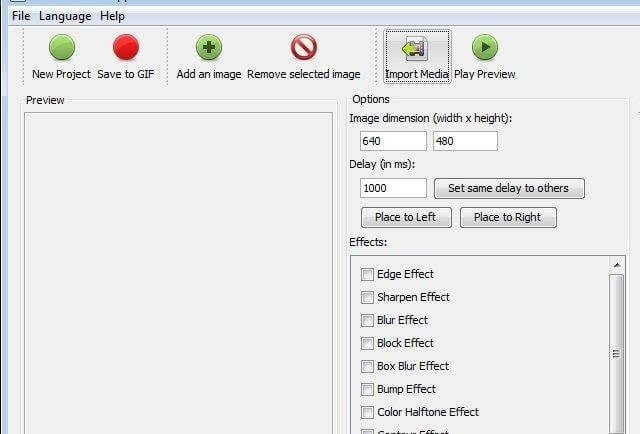 The GIF should only be 15 to 20 seconds long. Consider the content of the animated GIF before uploading the emails. Test the animated GIF yourself before uploading it. Try to increase the number of cycles in the animated GIF. Keep the animated GIF more relevant and avoid random flashing. Never overuse GIFs in emails. Your readers may get annoyed, get overwhelmed and lose interest. Make sure to save the animated GIF without metadata. It is no secret that people are steadily making a shift from desktop to mobile devices. They need everything on the go, and marketers are hell-bent in providing exactly what their customers need. Hence, it is only justified that email marketers are more concerned about making their email templates mobile responsive. Now that GIFs have become a great way of engaging with users, brands need GIFs that are mobile compatible. We are not saying this because everyone else is saying. The recent data and research all indicate towards the high rise of mobile usage. Businesses are gaining more profits from mobile devices year-on-year. According to the latest research report from Criterio, mobile apps have managed to facilitate twice the amount of new user retention. It has been seen that compared to mobile browsers, mobile apps have fared well. In Q2 2015, the mobile app’s share of transactions was at 47% which grew to 54% in Q2 2016. Consequently, the proportion of mobile browsers fell from 53% (Q2 2015) to 46% (Q2 2016). 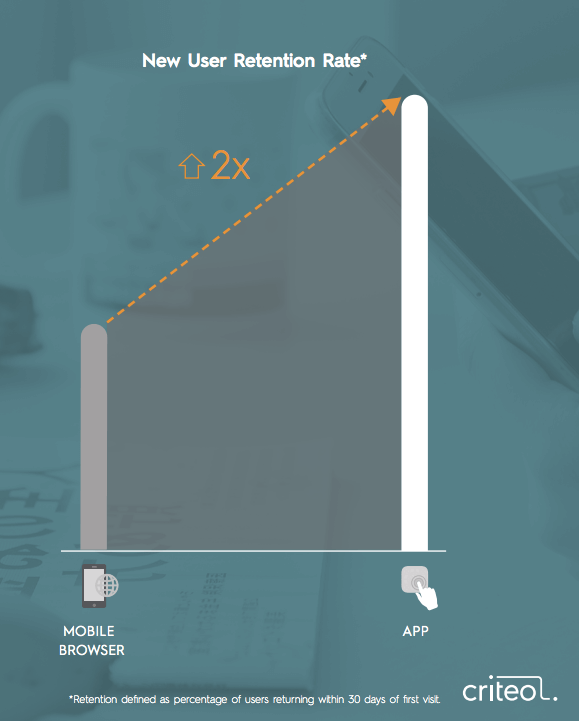 App conversions are soaring high. Every single mailbox provider has an app that functions probably better than their desktop versions. Whether it is Gmail, Yahoo or Outlook, mobile apps are way more convenient, fast and a great experience. All these discussions bring us to a conclusion: Since people are checking emails on their phones (majority are using apps), we cannot ignore the need of mobile responsive GIF designs. Brit+Co announced the launch of their new book by placing a GIF of the book in the email. The potential buyers got a preview of what the book has got to offer. The whole yellow backdrop, short and crisp text and the font used- together they made a mesmerizing and convincing impact. Winter season means colorful knitted clothes. Thanks to the increasing popularity of online shopping, this email campaign announcing the arrival of winter wears was irresistible. The GIF manages you to provoke you to hit the buy button almost immediately! If you are a shopaholic, this email campaign is sure to give you a ‘cozy’ feeling. Minimal text and excellent animated GIF- just the thing you were looking for! This email campaign stands out specifically for their concept. Apparently, you see letters falling like raindrops. You cannot help but keep looking at the illustration, only to realize the message “Fresh Cuts” falling repeatedly. The illusion is captivating. It urges you to get soaked in the new range of clothes from Anthropologie. Living up to its name, this clothing brand nailed it. Most email clients support GIF emails. Apple Mail, AOL, Lotus Notes, Outlook 2000, Outlook 2003, Yahoo Mail, AOL Mail, Gmail, and Outlook.com support GIF animations. Mobile email clients like iPhone, iPad, (iOS), Android, Blackberry and Windows support GIFs. Microsoft Outlook 2013, Outlook 2007, and Outlook 2010 doesn’t support GIFs in email messages. But, you can still put GIF images and view these images in your email messages. If you insert images into your emails, you will just see the first frame of the file. However, recipients using web-based email or HTML-enabled email program can see the full animation. Select “New Email” from the ribbon. Click the “Insert” tab, and click “Pictures” on the ribbon. If the animated GIF is online, then click on “Online Pictures. It will insert the file into your email message. You can see GIF animation by viewing the message in your browser. Double-click on the email message to open it in a new window. Then click on the “Actions” of the ribbon, and select “View in Browser.” It will start playing the video. GIFs have a limitation on colors. The quality of colors may not be as high as you expect them to be. GIF emails are surely very engaging but then there is a particular set of audience who prefers plain text. We call them the “readers.” So if you are overdoing the GIF in every email campaign of yours, it can affect negatively to your sending reputation. GIFs explain your products well; true! But when you have many products to talk about, a rapid animation is not a great way to do so. Your campaign might backfire in this case. Call-to-Action may be hampered. While success stories are ablaze of using Call-to-action GIFs, it is still a huge risk. If the clickable button that will make sales or subscription happen is not static, your recipients might lose focus and leave! Consumers are shifting to mobiles-> marketers are focusing on mobile responsive email templates. Consumers are loving GIFs and are engaging more than ever-> Marketers are keen on adding GIFs in email templates and also have the whole thing device compatible. Optimizing emails for great visuals and using emojis strategically will appeal to an age group that increasingly relies on visuals to communicate. The Graphic Interchange Format is almost 30 years old, but this will rule the future of email marketing for a long time. If you ask me why, its because marketing will get more and more personalized, customers will be more empowered than now, and email automation will have a more advanced face to it. 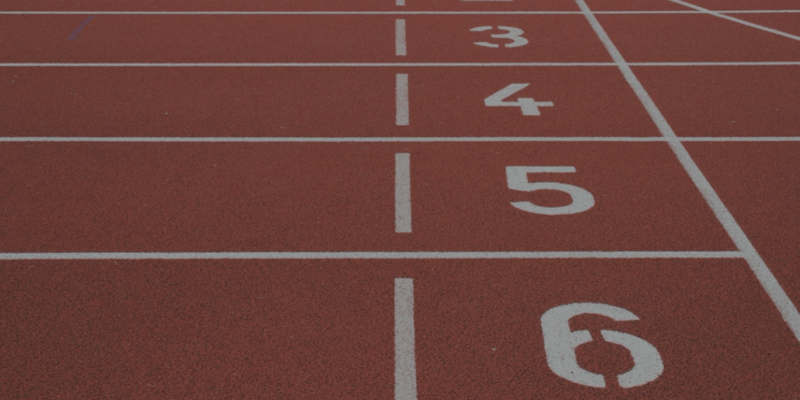 GIFs are the great captivating elements, hence incorporating GIFs can drive more customers. Thanks a lot for updating the tips. 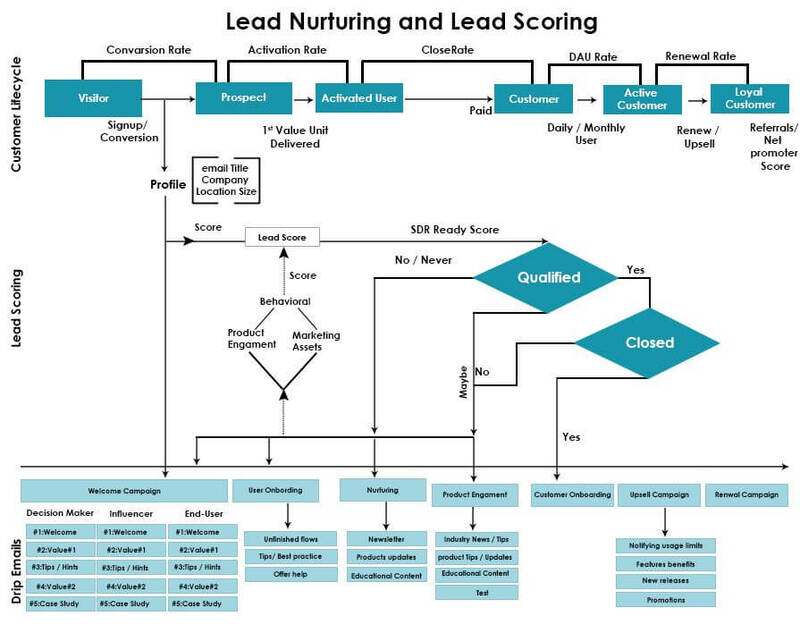 Hey Ankit, I am feeling grateful now as this proper master guide is helpful for developing an email subscriber lifecycle. Thanks, Ankit, you cleared a lot of doubts we had in making marketing campaigns by utilizing animated GIFs. Emails can be slightly monotonous to avoid this, adding a gif or two is a great method. It adds a certain light-heartedness than the usual boring stuff and a client will also remember the email better. Wow, this was exactly what I was looking for! I love creating GIFs, in that way I can express what I feel precisely. We can use GIFs within the email body to engage the readers and convey how you feel about something. It can be slightly cheeky but a fun way to style up an email. Since Movement Attracts Attention GIFs are the best way to express what we feel. Animation and movement allows for content that is interactive, visually engaging, and can hold the user’s attention for a longer period of time. Yes! It is very true that GIFs have become a bolder way to communicate and bond with the customers. A GIF holds the attention of the lead because it sometimes expresses the general picture of the complete mail within few seconds. GIFs in email can look eye catching and that is what would attract me to click on the link provided. I didn’t know about these free softwares for creating GIFs. I will definitely try these on. This post is very informative. GIF’s inclusion in the emails can be a viable option, but I personally believe that it slows down the entire process which is pretty annoying. If I receive a lot of GIF emails, I might lose interest and move on. GIFs are being used in most of the emails I receive. But doesn’t that take a little more time to load? I love GIFs but I am a little skeptical of using it rampantly in my emails. Although I love these examples that you have talked about, do you think GIFs are great for any and every brand? Thanks! Yes, Gifs are becoming quite rampant. One can see it everywhere. Sometimes they look really good. But at times it looks like an overkill as if internet is doing GIF to death. It works when on a page there are a lot of elements and one element is in GIF to stand out. But a constant stare at a GIF can tire one out. Thank you for writing another informative post. Inserting a GIF in an email can make it more interesting to its audiences. It seems like almost every other brand is using GIFs these days. You have nicely explained the pros and cons of using GIFs in emails. As of now, the trend of using GIFs will remain for a long time. Also, your tips for inserting GIFs in email templates are quite valuable.